Cyclists can be expected to filter through the traffic. Cycle lanes help cyclists make safe progress through town but, where there are no cycle lanes, drivers can and should expect a cyclist to filter. Filtering is a perfectly legal way to make progress through traffic safely. The problem with filtering is it exposes the cyclist to the negligence of other road users who don’t see them. 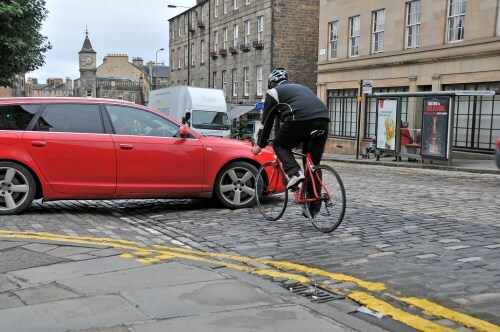 The Highway Code advises that other road users should be aware of cyclists filtering and take necessary action, such as checking mirrors and blind spots regularly, to avoid colliding with cyclists proceeding safely through traffic. Motorists will often argue the cyclist is at fault for filtering but the fact remains - the motorist should be more observant. At Cycle Law Scotland, our team of lawyers, all of whom cycle regularly, can assist you to recover compensation and fight your corner.